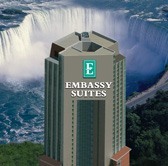 The Embassy Suites by Hilton Niagara Falls – Fallsview Hotel is a 42-story luxury hotel in the heart of the Fallsview tourist district. 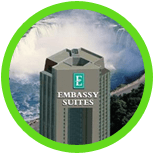 Located only 100 yards from the brink of Niagara Falls, the Embassy Suites Hotel offers spectacular views of the falls and exceptional service! The hotel features room service, an indoor pool, a games room, a fitness centre, and valet parking. 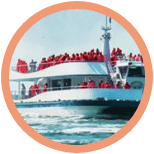 Most of the 512 spacious two-room suites overlook Niagara Falls and are beautifully appointed with a private bedroom and spacious living room. Every suite provides amenities such as air conditioning, an in-room safe, complimentary coffee and a refrigerator. Experience a suite view of the Falls without leaving your room at the all-suites Embassy Suites. 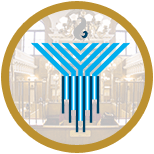 Hotel reservations with the Embassy Suites must be booked directly through the hotel – Chabad does NOT handle hotel reservations for the Embassy Suites. 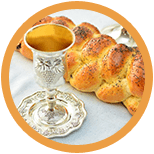 Mention ‘CHABAD’ while booking to receive a 5% discount.